The first annual "All Things Agave" Spirit Competition will be held in February 2008 in Cancun, Mexico, at Royal Resorts - Club International. The competition is open to all Agave spirits including Tequila, Mezcal, Sotol, Destilado de Agave, Bacanora, and Raicilla. 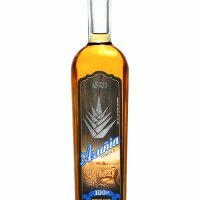 The entry deadline is January 18, 2008 for all Agave products. Visit the official web site at www.AGAVE.net . Each entry will be categorized, tasted, and reviewed with like Agave products. Each entry will be photographed and listed on the Agave Spirit Challenge web site www.AGAVE.net , with final rating (1-100) and awards from the competition. All judges will have no affiliation to any brand or product, and for fairness to all entries, all tastings will be done blind. The number of judges present will be determined by the amount of entries. For more information and to submit your spirit to the 2008 Agave Spirits Challenge for review, visit the event web site www.AGAVE.net .